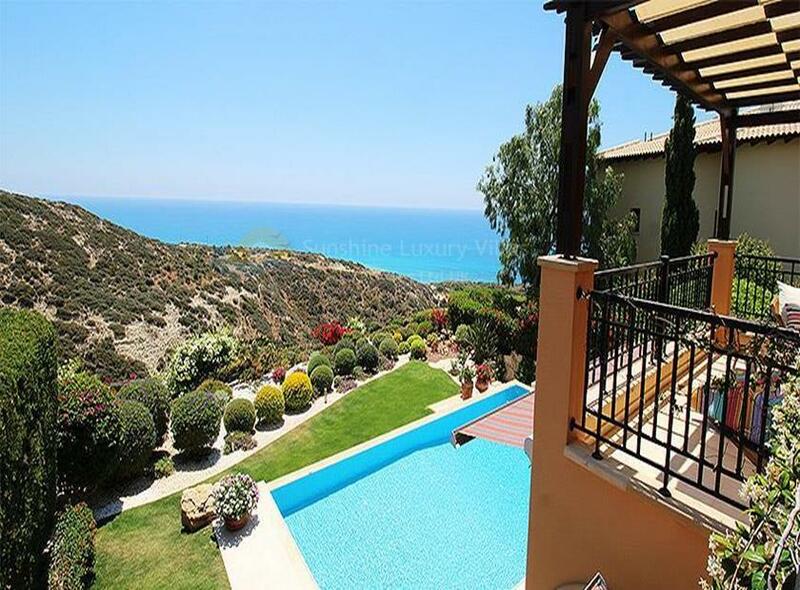 his immaculately stunning 6-bedroom super villa proudly sits gently on the side of the ravine in the upmarket Theseus Village commanding panoramic, uninterrupted sea views. Entering the property, you have a grand hallway, to the left you enter the stunning kitchen with granite worktops and all the latest brand appliances, open planned to a beautiful dining room. On the right, you will find a very spacious lounge area with a real wood burning fireplace and full length solid wood doors leading out to the terrace letting in ample light. The ground floor also has the benefit of a bedroom with luxury en-suite and fitted modern wardrobes. The first floor has a very airy and spacious landing that could easily be used as an office and incorporates 4 double bedrooms, all with fitted wardrobes. 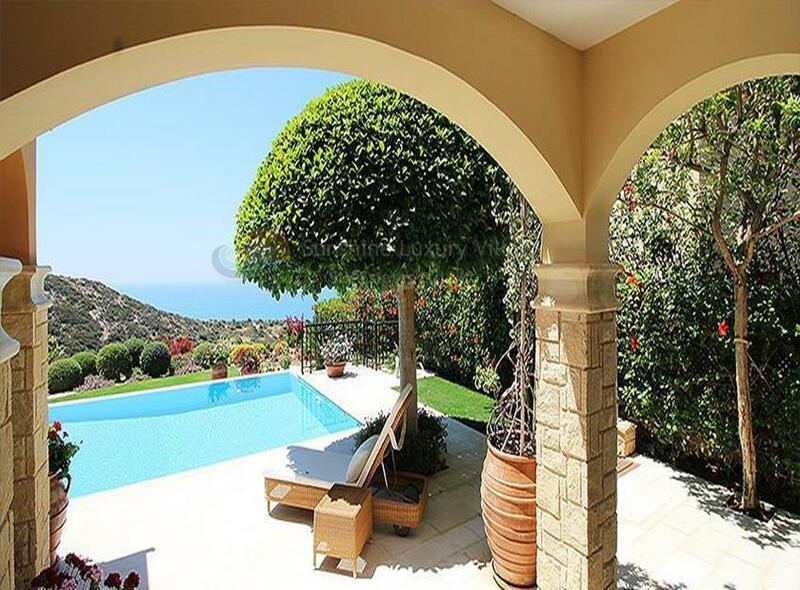 The terraces on the first-floor command unobstructed views of the Mediterranean Sea with plenty of room for relaxing. The lower ground floor incorporates a spacious utility area and the 6th bedroom with fitted wardrobes and en-suite bathroom. Stepping outside is quite breath taking with lush, mature gardens surrounding the magnificent swimming pool. Outside there are plenty of shaded terraces and lots of entertainment areas to enjoy probably one of the nicest sea views the resort has to offer. The extras on this property are too many to list but include, underfloor heating, VRV system, heated swimming pool, marble flooring etc. A full list can be supplied upon request. The villa was built as a home by the current owners and is extremely rare on the market and is sold fully furnished with all luxury fixtures and fittings. If you are looking for that extra special property than viewings are highly recommended and are strictly by appointment only.